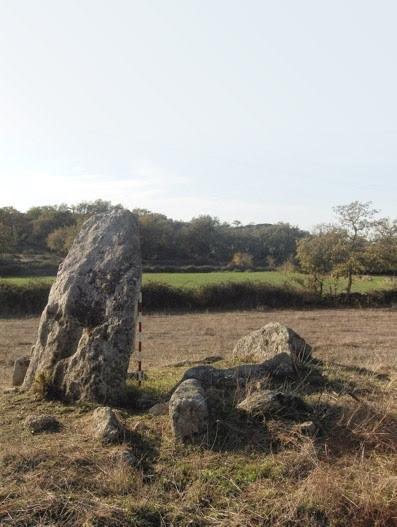 Megalithic funerary monument, "Anta dos Olheiros" is situated in a rural area on the right bank of the Rib d'Ante, and will have been erected in the middle of the Neo-Chalcolithic era. Of the seven steles that originally composed the sepulchral chamber of irregular polygonal plan, only one is presented whole, remaining of the other six only their respective bases, apparently in situ. From the primitive corridor, of small dimensions and orientated to the source, only the bases of the first two supports arrived to us. 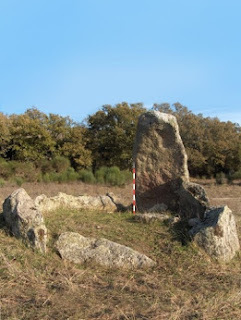 Monumento funerário megalítico, a "Anta dos Olheiros" está situada de forma isolada numa zona rural na margem direita do rib.º d'Ante, e terá sido erguida em pleno Neo-Calcolítico. Dos sete esteios que comporiam originalmente a câmara sepulcral de planta poligonal irregular, apenas um se apresenta inteiro, restando dos outros seis tão somente as respectivas bases, aparentemente in situ. 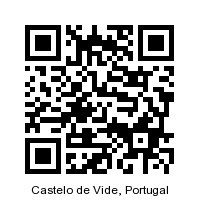 Do primitivo corredor, de pequenas dimensões e orientado a nascente, chegaram até nós apenas as bases dos dois primeiros esteios.